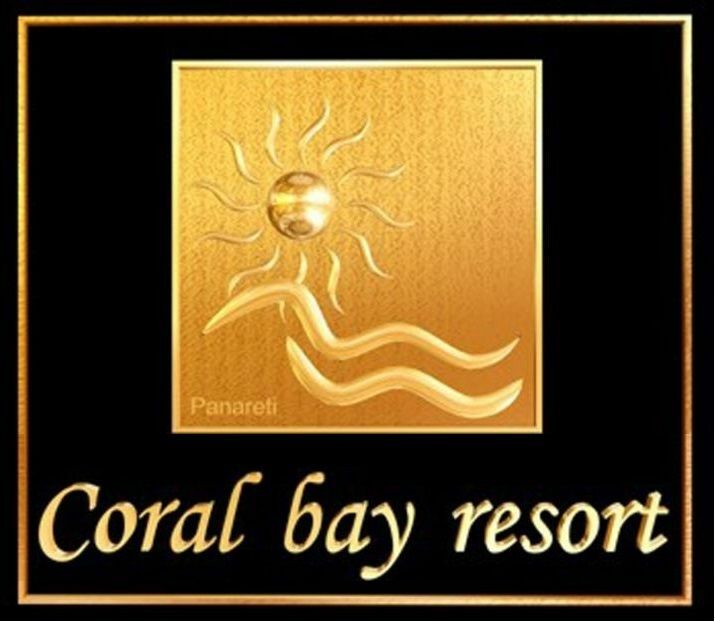 Situated in the Coral Bay area of Paphos, Panareti Coral Bay Resort offers beautiful spacious accommodation just 100 metres from the sea. The Hotel consists of 68 comfortably furnished apartments ranging from studios, one bedroom and two bedroom apartment all with balcony and pool view/ garden view or sea view. They are all air-conditioned and come with a fully equipped kitchenette with cookware, utensils, fridge, microwave and kettle. The living area is open plan with dining table, satellite TV, DVD player and in-room safe. Facilities include an extraordinary shaped large outdoor pool with bridge and cascade, a children’s pool, an indoor heated pool and a hot tub. There is also a gym, sauna and a full size tennis court. Guests can relax at the lobby which has a satellite TV corner, there is a small mini market on site. Free WiFi is provided in public areas and in all the rooms. The hotel restaurant serves delicious International food throughout the day, and you can enjoy your meals on the spacious veranda terrace at the pool side. Options to choose from are Room Only to All Inclusive and a variety of refreshments are provided at the lounge bar and poolside bar.